Calls are being made for stricter regulation of the scallop dredging industry after footage was captured of a protected seabed near Oban which has been illegally dredged. Video evidence of a “suspicious” vessel operating in the Firth of Lorn Special Area of Conservation (SAC) was shown at a meeting of concerned parties including divers, creel fishermen and environmentalists on Wednesday night. The suspected dredger was seen moving back and forth over the same area near the Garvellachs uninhabited islands, with navigational lights switched off. 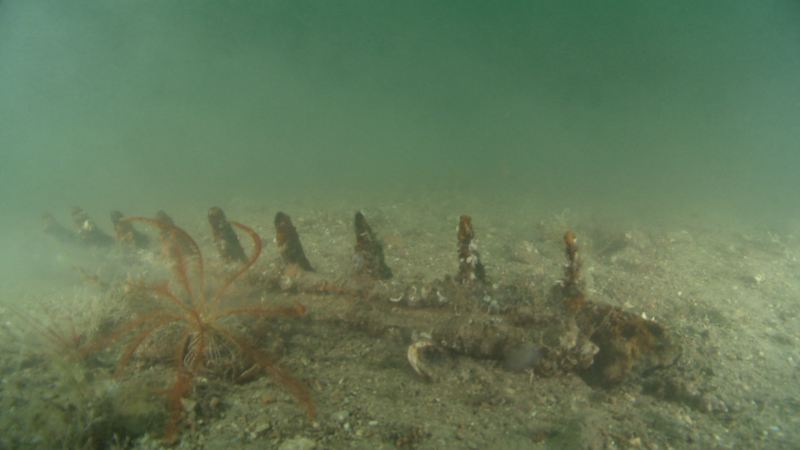 An image of the sea bed in Oban which alleges to show signs of illegal dredging. Nick Underdown of Open Seas conservation charity said: “This is not an isolated problem. It is symptomatic of a poorly-regulated industry. “We should not be having illegal scallop dredging. Only five per cent of Scotland’s coastal waters are protected from scallop dredging. He added: “Scallop dredging has been a slowly-unfolding environmental disaster for Scotland’s coastal waters. The scallop dredge industry is fishing harder for less and has destroyed fish nursery and spawning grounds. Widespread scallop dredging continues to undermine the recovery of our coastal environment. John MacAlister, a fishing vessel owner based in Oban, who was not invited to the meeting, said: “Open Seas know full well that normal professional fishermen are not operating illegally. We are fishing professionally and sustainably. A Scottish Government spokesman said: “We are of course wholly against illegal dredging, which is completely unacceptable. Strict regulation rightly applies to dredging activity. “Cases of suspected illegal dredging in the Firth or Lorne have been reported to Marine Scotland and compliance officers are investigating the activities of a number of suspect vessels.